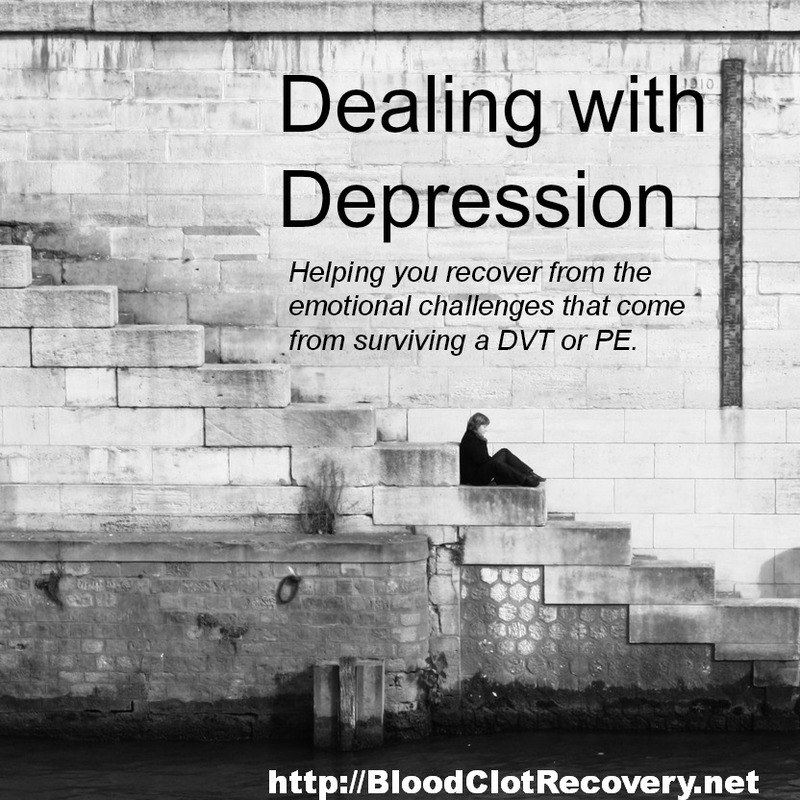 Storytelling is the essence of Blood Clot Recovery Network. After I survived a pulmonary embolism (PE or blood clot in my lung), I set out to tell others about my experience. My story was the first thing I wrote for this blog. While my story is ever-changing – and I bet yours is too – there is great value and release in sharing our experiences with others. As the author of this blog I have read hundreds, if not thousands, of stories and each of them has affected me in some way. Each one I remember, each one stands out. Each one reminds me that I am not, in fact, alone on this journey. I hope you find the same value in the Patient Stories here. We all have a story to tell and every story is important. In fact, emerging research has shown the importance of and value in allowing patients to share their stories. It gives patients a voice – and I like to think a small purpose – after what they have gone through. If you would like to share your blood clot story with others, below are some simple guidelines to help you do so. Make it all about you (or your loved one) and make it original (please don’t submit the same story you have written for someone else). As a general guideline, make it 500-800 words in length. Include a picture, if you want to. It can be of yourself, your family, your pet, your hobby, your artwork or a place you love to go. 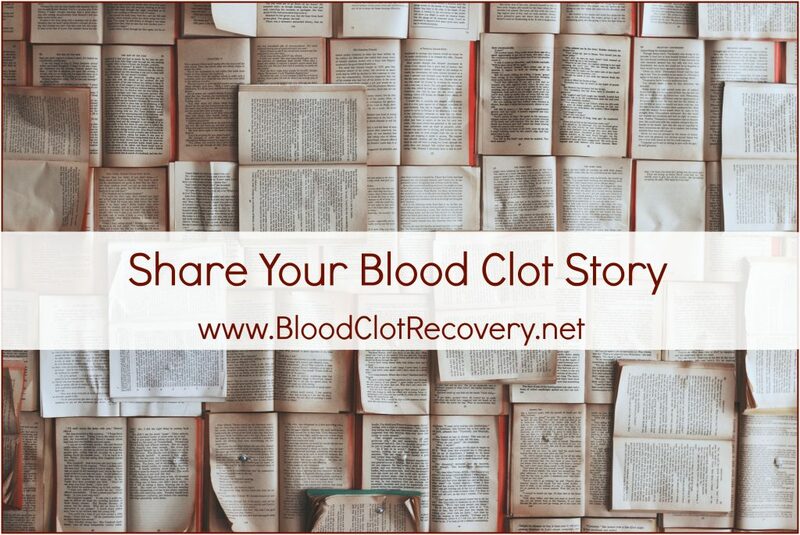 Submit your story and photo via email to sara@bloodclotrecovery.net and I’ll get back to you about publication details, including the best platform on which to share your story. I can’t wait to hear from you. Please note, I receive a lot of patient stories, and it may take 4-6 months to publish your story on the blog. I am 18 I was born with Hydrocephalus. I have had over 250 brain surgerys. I had a VP shunt but was having problems with so they switched me to a VA shunt an I was good for a little while but started having chest pain that would not go away. So they did all sorts of test and eventually found a blood clot in my heart ended up having open heart surgerey . Then a little while after that I got a P.E I have had a couple P.e s an a few DVTs . . I am back to a VP shunt now. Wow, Samantha. Thank you so much for sharing here. I cannot imagine having that many surgeries (I have never had any) and you are a strong person for going through all of that, continuing on and not only that – talking about it! I am wishing you the best as you continue to heal and with the new VP shunt. Thinking of you. Thank you sara, I try to get my story out there as much as I can! My last surgery was in 2010 . Hi Sara, It’s been a while since my last update. I went to hospital again on Oct 14th thinking I had another clot. Good news! No clot, blood is running through veins good. The clots are hardening and attaching to the wall of the veins. They did chest x-ray because of continued heart pain. Sent me home the same day. Now about a week ago I was at my doctors office for follow up and he was looking at the report on the chest x-ray. 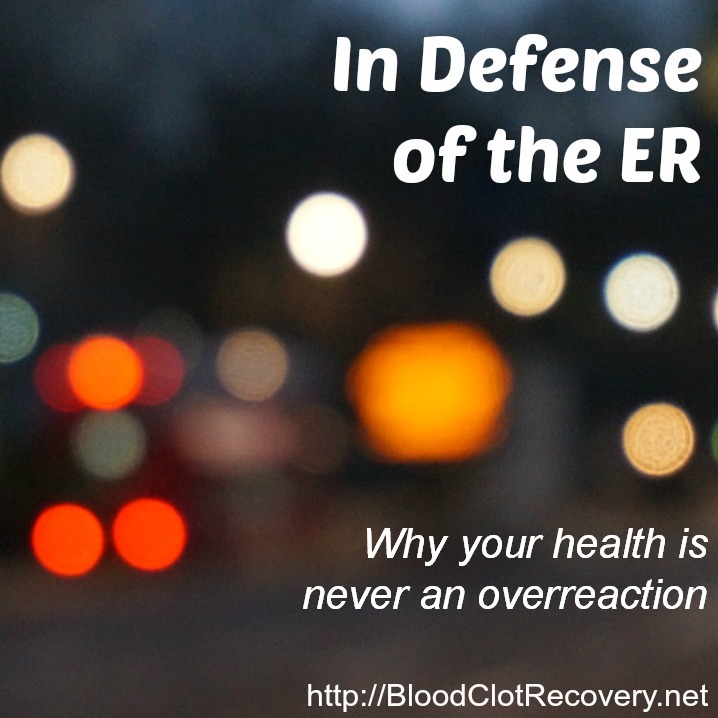 The ER doctor had the report and did nothing about it. My doctor said I have pneumonia and I’ve had it over a month, thanks to the ER doctor. I had a whole lot of clots in my lungs in June this year and wonder if having pneumonia is now going to be a problem that will come up. I’ve been on antibiotics for almost 10 days, but still have problems with my lungs. If it doesn’t change in a day or two, I will call the doctor and let him know. I am so grateful for what you are doing for yourself and so many others. It is a comfort to know we are not alone. My fears are getting better, though, Going out on Thanksgiving (long drive) I panicked for a while. I can’t stop doing just because I’m scared. I am learning to live with the leg and heart pains, terrible lack of energy. But I know it will get better with time. May all of you have a Merry Christmas and a Thankful New Year. Hi Jean. It is really great to hear from you. 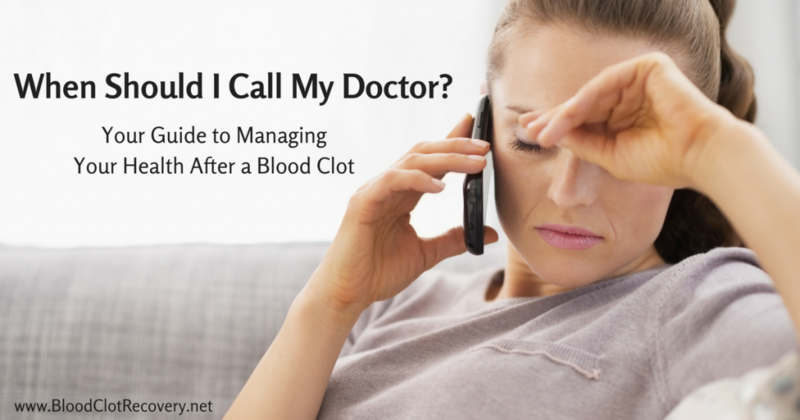 I am so glad to hear you did not have another clot! I am not glad to hear, though, that you are still battling pneumonia, as I am sure that does not make any situation dealing with your lungs comfortable. I hope you can find something out from the doctor. 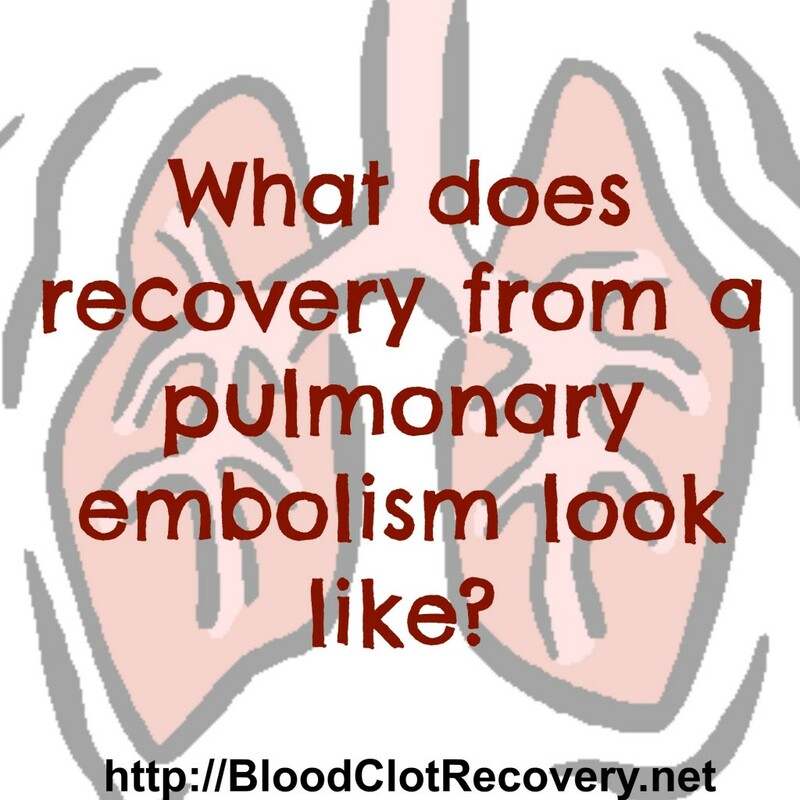 I do not know how/if clots play into pneumonia (like making your more susceptible or something), but that would be very interesting to see what others thing and have experienced with pneumonia. Sending warm wishes your way on that! Thank you so much for your kind words and I hope this site can help at least someone else out there. I appreciate you stopping by! I hope you had a nice Thanksgiving too!! I am learning to live with pain as well and anxiety that I never felt before. Everything is so different, as you know all too well. I am wishing an equally wonderful holiday season to you and enjoy it! Talk to you soon and take care. I am a 47 yr old female. Went into surgery on Tuesday 5-27-14 for a complete hysterectomy and also a tummy tuck w/ lypo at the same time. I was under for a little over 6 hrs. Surgery went great, was in recovery for two hours, then moved to a room for two days. On Wed. I noticed that I was short of breathe & weak, but I had just undergone a two big surgeries so that was to be expected. The nurse wanted me to begin walking, but my legs would give out on me and I would feel as though I was hyper ventilating. It was such an effort to get from the bed to the bathroom and back again. Well on Thursday morning, the nurse came to help me to the restroom and then wanted for me to go for a walk down the hall. I could barely catch my breath & I began to cry and kept sitting back down on the toilet to try to catch my breath & because my left leg would give out on me. He kept telling me that I was having a panic attack to just take deep breaths and go for the walk. I pleaded and pleaded that I could not do it, that I could not breath, that there was something wrong. He laid me back in bed, they came & did a X-ray on me while laying in bed, next thing I know, my two surgeons are at the hospital telling me that they were rushing me to another hospital that was better equipped and that I would be in ICU, that’s all. They called an ambulance that rushed me to the ER of one of our local hospitals, there they did a CT of my chest & it showed Two Large PE’s in my right lung and One Large PE in my right lung. They also did a echo-cardiogram that showed something wrong with the bottom of my heart, but can’t remember what because the clots were a urgent thing. So off to ICU I went, crying. After being in ICU with those stockings on my legs and those things that blow up & release and repeat all damn day on my legs, we started demanding answers because they had lost the echo cardiogram and they were waiting on that to do a ultrasound of my legs. Well, I demanded that they do the Ultrasound at that moment without waiting for them to locate the echo cardiogram and guess what they find??? A very large DVT moving in my groin !!!! I was in a chair at the moment, the pulmologist told me to stay very still that he was getting a team to move me back to the bed. I cried once again. This should have been done in the ER ! And now I am finding out that those legs pump things should have never been put back on my legs after finding the PE’s. So another catheter and strict bed rest. I was being given shots in the stomach of Lovanox (I think that’s how you spell it) and coumadin. I was in ICU for five days. I just came home day before yesterday on Oxygen & coumadin. I was so active before and now I can hardly make it to the bathroom and back to bed. I need to walk, but can’t stand up straight due to the tummy tuck. I’m getting so depressed, scared and now am feeling like a burden on my family. Any advice would be greatly appreciated. Oh Denise, welcome, thank you for sharing and my heart goes out to you! 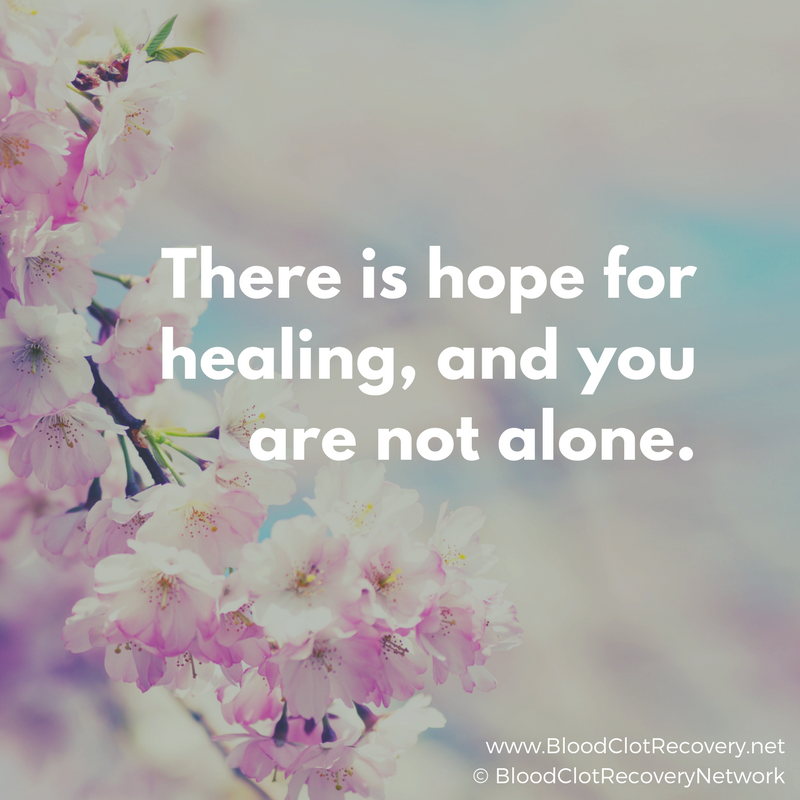 I can hear the pain and anxiety in your words, and I want to reassure you that while you may feel like it right at this moment, you are not alone. I have been right where you are and so have many other people here. 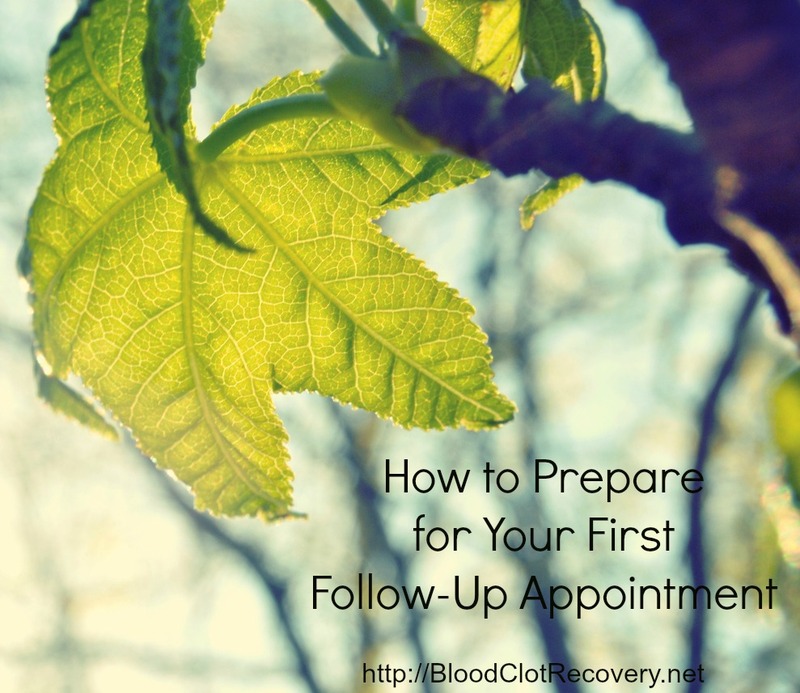 First and foremost, you are so very, very early in your recovery – not only from something as traumatic as multiple PEs, but from two major surgeries! While it is hard to hear, it is really important to give yourself a break. Your body has had A LOT happen to it in a short amount of time and it will take time to even begin healing from these things. I know how hard it is to sit idly by (after being a runner myself) and not be able to walk to the bathroom. I could not. I too was on oxygen (for about a month). I felt like a burden at times, yes, and it was devastating to have my whole entire life turned upside down in an instant! Give yourself time, Denise. There is nothing I can tell you to ease the pain of what has happened. But, I can tell you, you are not alone and explore this site and the links on it when you are feeling down and unsure. I wished I had people to relate to early on in my recovery and as I started to find them, it really helped me to be able to know I was not alone. I never, ever thought it would get better than where I was in that moment so early on in my recovery, but it did. Slowly by slowly – hour by hour and months and months later, I started to feel better. I took a walk, went upstairs by myself and made dinner standing on my own two feet. I know my husband saw me as a burden at times (or, at least, I sure felt that) and all I could do was try to tell him the best I could what I was going through. When he needed a break, he made sure I was okay and had what I needed and then he would go do something away from the house for a couple of hours. I knew I could call (and he knew I would) if I needed something. Having that space, looking back, helped. He had to be patient with me and I had to be just as patient with him. He did not understand what I was going through and I stopped expecting him to. For me, that made a difference in how I perceived myself as less of of a burden. I don’t know if any of this can help, but I hope it does. Your story is frightening and all too real – so many times this happens after surgery and people are just not equipped to know about it – including medical staff as you have seen! I am so glad you are here with us. Take it one day at a time. You are exactly where you need to be right now. Thinking of you! First of all Sara, thank you for having this site available. I am a 43 year old male, married, father of 2 (boy 16 and girl 14). By occupation, I am a real estate appraiser, so I spend a lot of time driving or sitting in front of a computer. My issues started over 5 years ago when I started having aches in my feet. I was a minimalist runner, so I figured I might be having issues with tendonitis or stress fractures and woul take breaks from running until the pain went away (which would be a couple of days at a time). I didn’t think my issues were from sitting at a desk for 5-6 hours at a time. In 11/12, I injured my shoulder and had surgery to repair labrum and proximal tendon tear on New Years Eve, had recovered from that injury and was back to the gym for 2 months and herniated 2 disks in my lower back (L/4-L5 and L5/S1). 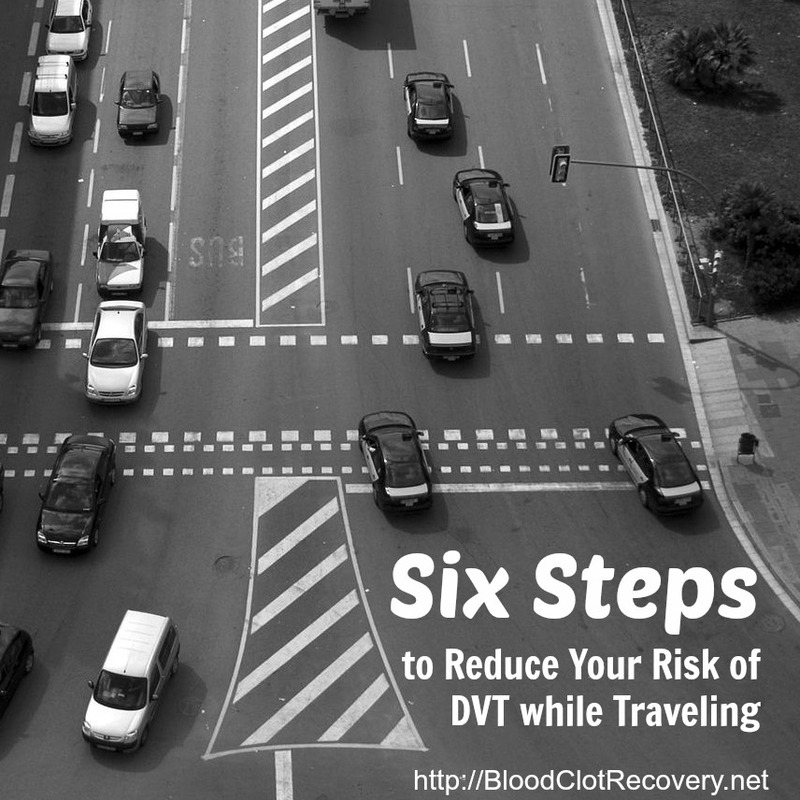 I didn’t have my first PE or DVT diagnosis until last September. I had a very detailed project that required me to work day, night and weekends for about 2 weeks, and had skipped any form of exercise in the meantime. I completed the project on 9/25, and did a follow up phone call with my client to make sure they had my report and required any explanation. After that, I decided to take the rest of the day off to go to the gym. I worked out for less than 10 minutes and felt short of breath and coughed the whole time. I called my GP and he said it would be a week before he could see me, so I scheduled the appointment and figured it could wait until then. The next morning, I woke up and told my wife I was going to walk before getting ready for work. I recall I made it about 100 yards and turned around because I was so fatigued and out of breath. My family had tickets for a college football game in Athens, GA that weekend, which has a lot of hills. I told my wife I wasn’t feeling well and wasn’t sure about driving and walking all day on Saturday. She suggested that I go to the immediate care as soon as they open and beat the crowds, which I did. The doctor heard some effusion in my chest and took an X-ray. He said he wasn’t sure what he saw but assumed it was pneumonia, prescribed levaquin, and an aerosol inhaler and sent me on my way. I woke that night with a cramp in my left calf that seemed to come from nowhere. The following morning, I called a pharmacist friend who said it was probably a reaction to the antibiotic and should go away. Needless to say, we drove 5 hours to the game and another 2 hours to a hotel on our way home. My leg hurt the entire day and when I took my pants off my left calf looked like it was 2x the diameter of the right one. 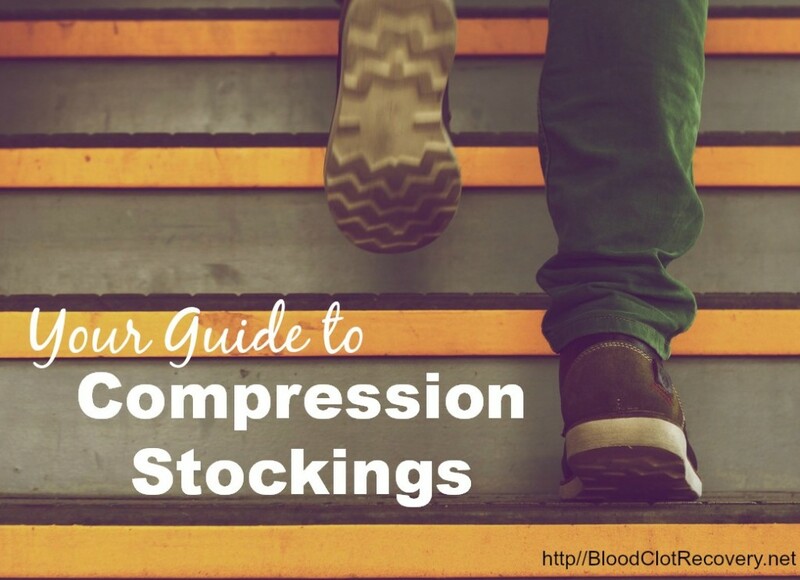 I took a long hot bath and let the leg soak, elevated it and put on some compression stockings I wear for running. The pain dissipated and the swelling went down almost overnight. When I went to my physician the following week, I told him what had happened and showed him my calf, which was still a little swollen, mostly notice le when I pulled my socks down and there were somewhat deep impressions/compressions in the skin. He handed me a bottle of pills and told me to drive to the hospital and was ordering an ultrasound on my leg. 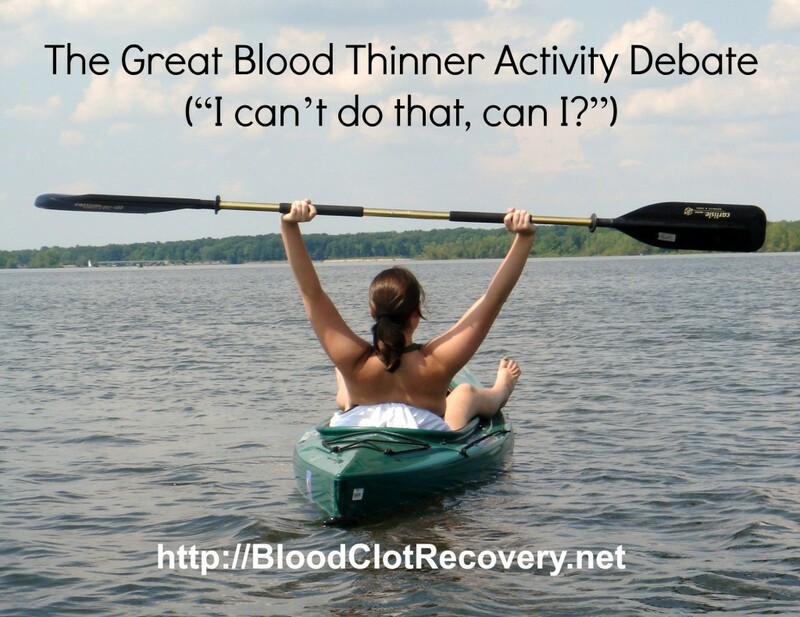 He said it might be nothing, but if they found a clot to begin thanking the pills immediately. The technician found clots in my groin and calf and was getting ready to admit me. When I told her the doctor gave me a bottle of Xarelto, and that I could go. With that she said she needed to talk to my doctor and he told her the same thing. By this time, I later found out, it was too late to do a chest CT to rule out my pneumonia actually being a PE. My GP referred me to a hematologist who met with me and said he was going to keep me on Xarelto for 3 months, take me off of them for a week and have a hypocuagulative study. When I went back to him after the blood work, he said he could find nothing that would require me to be on thinners and told me to take a 325mg aspirin everyday and he would probably never see me again. He did find my Factor 9 and 11 were elevated, along with my homocysteine level, and a heterozygous strain of MTHFR, but nothing out of the ordinary that would trigger the clots. Three weeks later, I was admitted to the ER with severe chest and middle to upper back pain. I told the PA about my DVT and probable PE, and they did some blood work which found my D-Dimer elevated, so they did a CT and found a bilateral PE. The PE was small and peripheral and they discharged me with another prescription of Xarelto. I decided to go to Mayo for a second opinion, had more blood work and another CT, and got the same feedback from the hematologist there. The only thing he said different was that my D-Dimer was 4x normal and he would have put me on the thinners for a full year before he would consider taking me off of them. The only other thing he did different was he prescribed me Folbic (B6/B12 complex) for the MTHFR. I had some issues with that and have started taking the methyl- versions of both of those, which seems to be helping. He then released me back to the care of my regular physician. About a month after my follow up at Mayo, I started noticing rapid heart beating while at rest and decided to test my BP, and it looked like I was heading toward having a stroke. My doctor tried to put me on beta blockers, which did nothing, then on losartan, which has helped, my blood pressure, for the most part. Because I’ve always been athletic, I have a strong heart and can frequently hear/feel my heart beat. I began feeling it skipping a beat every so often and became concerned with that, so I went to a cardiologist. They did a stress test, echocardiogram and put me on a Holter monitor for 24 hours. After all of those tests, they said my heart is fine, one chamber is slightly enlarged due to passing the clots (which should shrink back to normal in time). They said the heart skipping is called a premature ventricular contraction PVC, which is not life threatening and may go away I time. For the most part, that is my story. It has been 5 months since my last ER visit for a PE. I do still have some irregular pains in my feet, calves and chest, my heart rate and BP stay within a normal range with some unexplained exceptions, but all of my doctors tell me this is my “new normal” and that my symptoms won’t kill me. I’m told to just get used to it. From the looks of this site, it doesn’t seem like I’m alone. This is the first time I’ve seen anyone refer to themselves as survivors. I guess I’ve never thought of it that way. Hi Dustin. 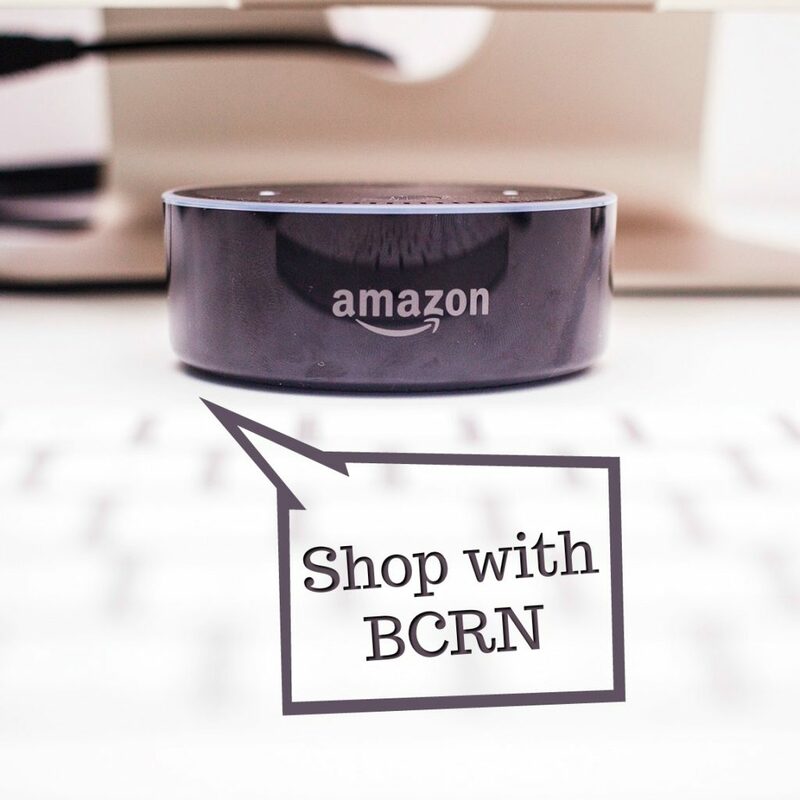 Thank you so very much for sharing your story with BCRN as it is an incredible one. PE’s kill 1 in 3 people they effect, which averages out to about 300,000 Americans each year. 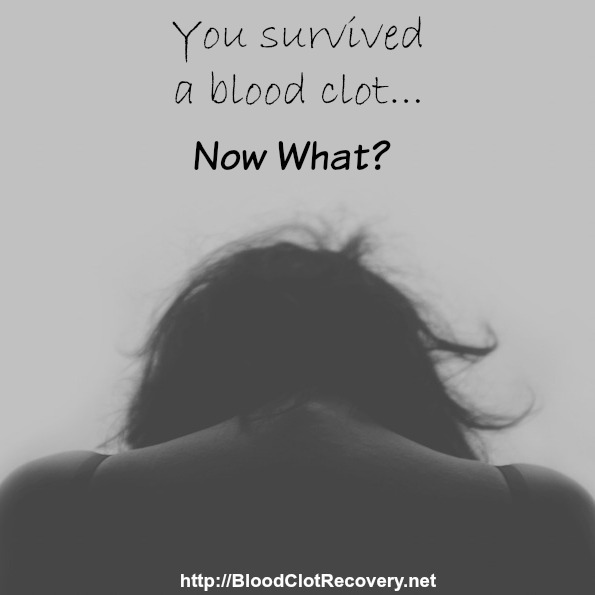 The number of deaths from blood clots exceeds those from breast cancer, AIDS, and motor vehicle accidents combined, so I would definitely say you are a survivor! I can very much relate to your words about the new normal and trying to find out just what that means. You have been through so much and your story is important because it shows just how crucial it can be to keep pursing answers to take care of yourself. I am very glad to hear you at least have some answers to go on and treatment options. As a fellow runner (although not minimalist), losing my ability to work out and run to the degree I did before has been one of the hardest things for me. I have started biking, but event that has taken some adjusting and allowing myself to understand it takes time to heal. I will keep you and your family in my thoughts as you continue to recover. Again, welcome here and I thank you for having the courage to share your story with others. Keep in touch and warm thoughts to you. 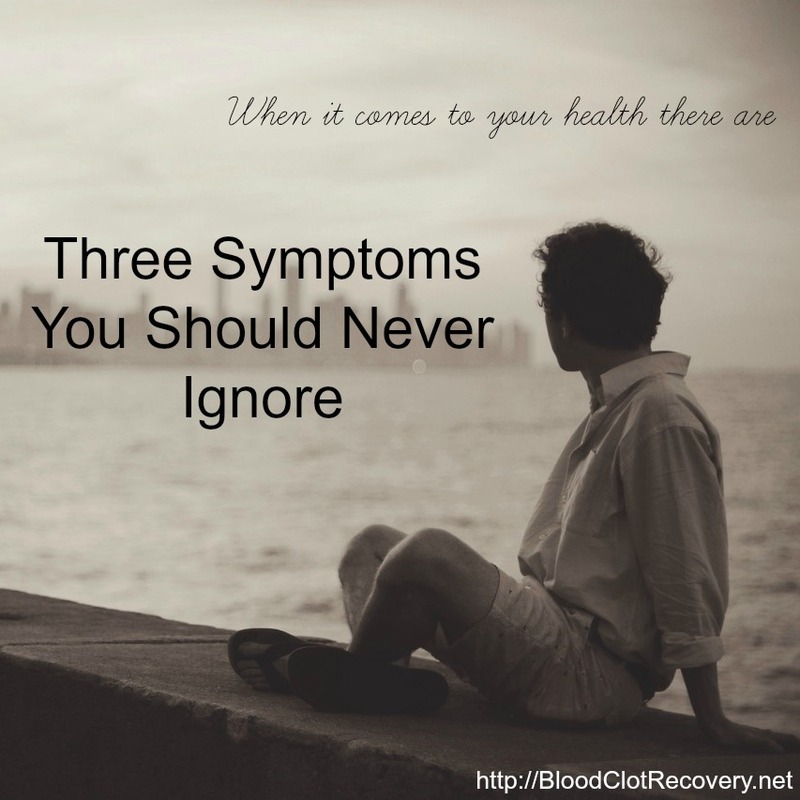 Hi – I posted in January 2014 that I had been diagnosed with a PE. Later found out it was multiple bilateral embolisms and after a false start with a reaction to rivoroxiban, I settled down with warfarin. After many tests on heart, spine etc… No cause could be found other than I was on HRT. I returned to work after 6 weeks and took a few months to start building my stamina back. Part of this process was joining the Action Heart gym at my local hospital and I attend 3 times a week after work. 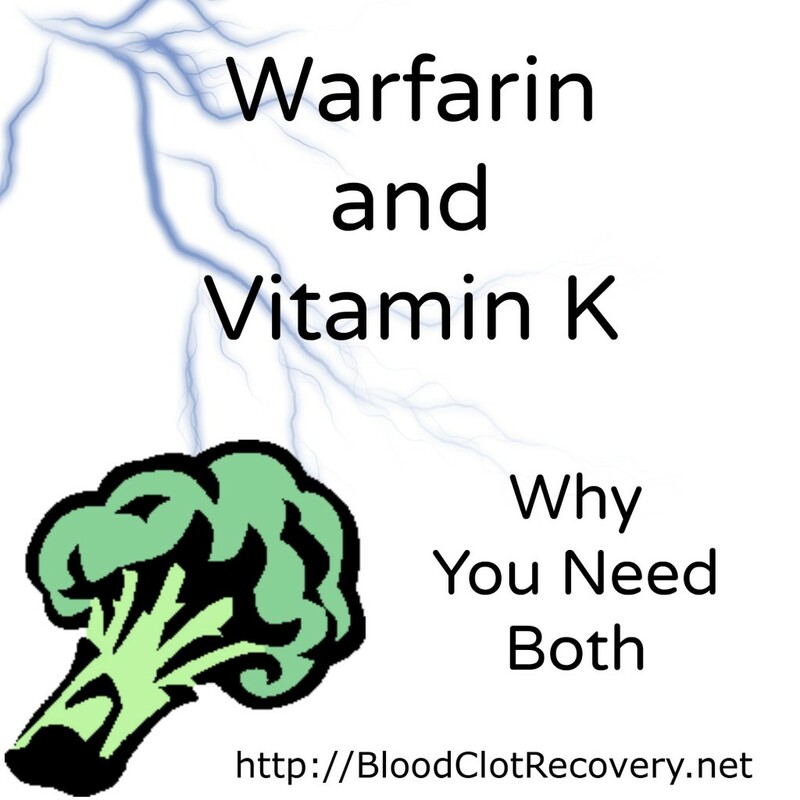 I remained on the warfarin whilst we travelled abroad on our family holiday this summer and consultant decided to do a follow up VQ scan to give me the peace of mind they have all dissolved before I came off the warfarin. The results however were not what I was expecting!! None of the embolisms have dissolved….. His words were “that is very odd and needs further investigation”. I am now waiting for a CT scan and echocardiogram. He has told me the VQ scans can sometimes detect a lung disorder and he needs to double check that they are definitely embolisms still there. I am gutted- but very determined to get through and face whatever is coming. So many of you have faced this and so much more and I know staying mentally positive is key. I have been told he will have a plan of action by mid October (which is when my next appointment is). I am keeping myself busy until then to try and push it to the back of my mind. Has anyone else has this diagnosis ? Hello! So nice to hear from you once again, and I do thank you for the update. 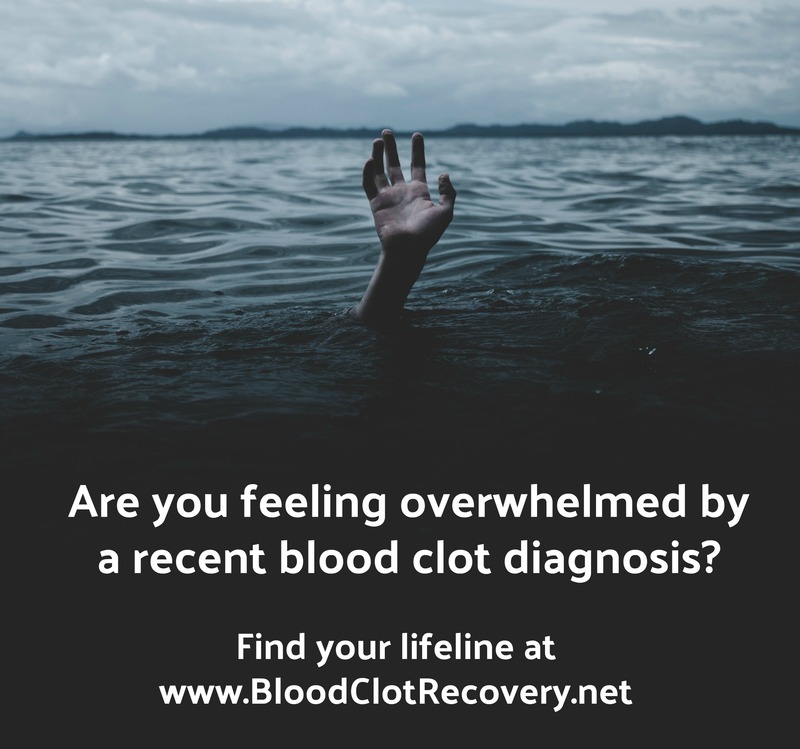 I have not heard of this condition, but if it helps at all, sometimes clots take a very long time to dissolve or can calcify and “not” dissolve. Now, I have heard this is more common in the leg than the lungs, but I would be interested to know more about calcification in the lungs too. If I run across any information about this situation, I will be sure to let you know here. In the meantime, you will be on my mind that you can find answers in the midst of all that is going on. My thoughts to you as you navigate. I am glad you have doctors looking in to what is going on. Thank you and I am inspired to hear of your fitness efforts! Will be sending my story to you very shortly, Sara. Thanks again for raising awareness! Hi after just getting over a clothousand I went to the doctors with pain in my back the same pain I had witheard the first clot the doctor said it was a mussel strain. I know that it was a clot and went to the doctit’s again and I was tight they found that I had a blood condition called antiphospholipiid so drum my blood just clots all the time. Has anyone else got this so drum. Hi Carol! Thank you so much for sharing. 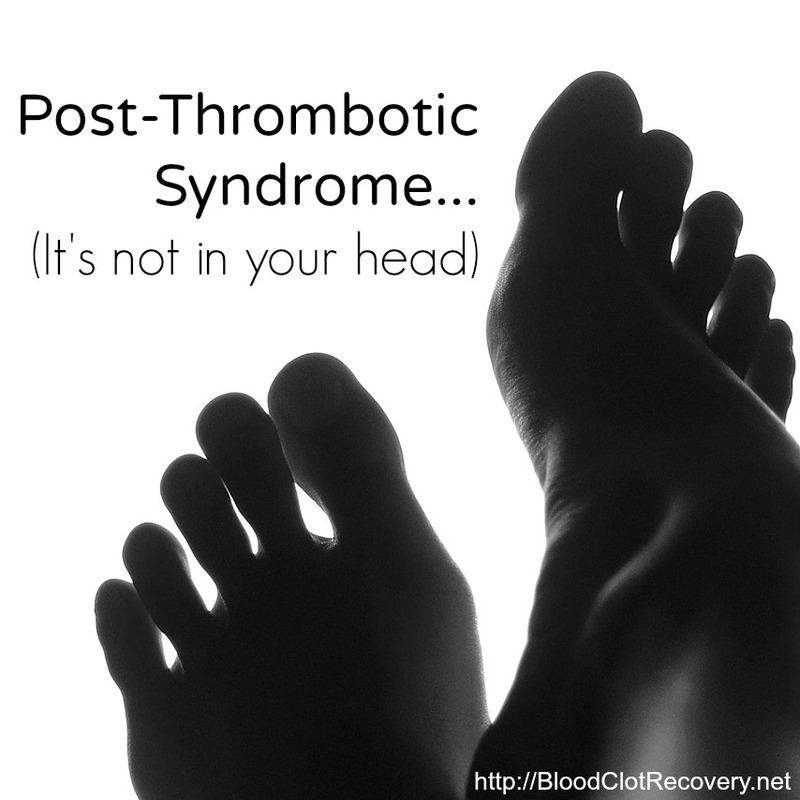 I have antiphospholipid syndrome too and will be on blood thinning medication for life because of it. You’re not alone in facing this diagnosis! Take care and my best to you. Hello. This month I celebrated my 3 year anniversary & celebration of life after a brush with death. It has been a long journey since June 6, 2012. This is my story. In January of 2012 I had finally gone to see my GYN Dr. for the annual exam and discussed my mood swings which I attributed to pre-menapause, since I was 44 yrs. old. I asked if taking birth control pills would help, which I had taken from age 16 to 35, except when I was pregnant with my 4 kids. He gave me the standard list of problems that can happen (includ. blood clots and death) and I said that’s ok I’ve taken them before. So for about 3 months I took the pills from March – May, then stopped them because they didn’t seem to help. In May 2012 I was preparing for my oldest sons high school graduation, when a shopping cart hit the back of my ankle on my ichellies tendon. It was very painful, became swollen, black and blue around the ankle, and was warm to the touch. So I took ibuprophen, elevated my ankle, and used a compression bandage for support and it was still painful but bearable when my son graduated June 3, 2012. A few days later, I drove from San Antonio to Dallas with my 2 younger kids with minimum stops and record time, about 5 1/2 hours to take care of my mother. I began having an aching pain in my left side, below my bra and in my back which I thought was from lifting luggage out of the car upon arrival in Dallas. We had a nice dinner, visited, and I have had a history of back pain, so I took Vicadin and went to bed. A few hours later, I woke up and it was slightly hard to breath in, but after a bathroom break and some water to drink, I returned to bed and was able to eventually go back to sleep. I still had the achey pain. The next day I still had the same pain, but it really felt like a stitch in my side, sometimes up to my left sholder but with ibuprophen I made it. Well that night, when I went to bed it was still hurting and I didn’t think there was an emergency. Again I awoke at about 3 am and this time it was severe pain, mostly on the left side, under my breast to radiate into my sholder and left side of my jaw and chin. I would have gone to the ER, but my Mother didn’t drive and I didn’t want to scare my kids with an ambulance, so I sat up in a recliner and waited for daylight. The next morning I got up and moving, even went shopping briefly at Target, then drove us all to the ER to get my pain checked out. When I walked in the ER, holding my left arm up to my chest and nicely asked to see a Doctor for chest pain, they questioned me as to if I was having pain. So the nurses and Doctors acted as if I was faking it, as I kept asking for pain medication. They took my blood pressure, oxygen & EKG were all normal, then drew blood. The Doctor said upon the results I’d probably be released. When my D-Dimer returned at 3 times normal, they all rushed around giving me shots, nitroglycerin, taking xrays, CT, and ultrasound on my legs. They found a DVT (deep venus thrombosis) in the ankle I had injured, multiple bi-lateral pulmonary embolisms, and left pulmonary infarction. I was admitted and treated to thin my blood, draw blood for genetic testing, and a complete history which included hypothyroidism, rheumatoid arthritis, and other joint, back, and neck pain. The pulmonologist consulted, said that she has never seen anyone walk in, talking, and smiling with the multiple PEs. It was the perfect storm with the birth control Rx, my injury, and driving 5 1/2 hours without stopping that caused the DVT and PEs. Most people with similar PEs come in an ambulance often not breathing and usually do not live through the event. I was very lucky. I returned home driving which turned a 5 1/2 hour trip into a 7+ hour trip. Followed up with a hemotologist recommended by the hospital doctors. The genetic testing identified an acquired deficiency of Protein C, which works to regulate blood clotting. So the answer is lifelong treatment with Warfarin to keep my PR/INR levels between 2 & 3. The following two years I went through many emotions, mostly fear associated with having another blood clot, or bleeding to death if I cut myself while cooking or was in a car accident. I wore a Medical Alert bracelet and carry a card indicating I am on Warfarin. However this last year I have finally accepted my health condition and have learned to have a more calm and relaxed approach about my health. I don’t live in fear, rather I live daily and feel blessed to have this time to be with family and make the world a better place. In reflection, I know my life was extended for a purpose. I changed careers and am now a Teacher of students with severe disabilities in high school. My kids are growing up, the oldest is a Junior in college, the 2nd oldest graduated from High School, and the next will be in 8th grade next year, and my youngest and only daughter is growing in to a beautiful young lady. My husband since my near death event, have improved our relationship. I wish in reflection, the first night I continued to have pain that I would have driven myself to the ER. Since that event, I now go with my gut feeling and don’t worry as much about other factors. Ruth, I also had bilateral PE’s. I couldn’t breathe. Walking was difficult. I was on Lovenox and then Coumadin. I read about the bad effects of coumadin, and I personally believe most drugs have too many side effects. So, I researched and came up with Nattokinese, which is a fermented soy that works better than coumadin. (look up the studies. Your conventional doctor, like mine will tell you it doesn’t work, or they have never heard of anything besides drugs that thin the blood. I also take serrapeptase. I have been taking it for about 2 years. I bleed nicely when I have a cut. If I am traveling long distances, I may take an extra capsule. Right now, I take 2 capsules in the morning, and 2 at night. I have recently started using ozone which is good for autoimmune diseases and thinning the blood. Look at youtube under ‘ozone’. Look at the videos of ozone with coagulated blood and then after taking ozone. It’s amazing. My husband has Parkinson’s and we are doing everything other than conventional medicine. We were lucky enough to be able to afford an ozone sauna. Ozone has been widely used in Europe for 80 years. Robertrowenmd has a youtube channel where he shows you before and after clips of patients before ozone therapy.